Inntelligent News 14 has arrived ! Home | In-depth | Resources | Inntelligent News 14 has arrived ! 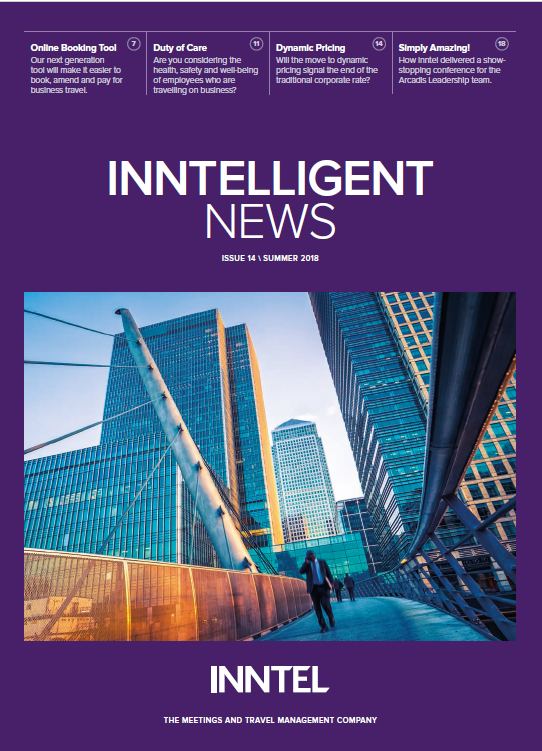 The 14th edition of Inntelligent News is here to update you on Inntel company news and industry insight. The latest edition includes a sneak peek at Inntel’s new online booking tool LOGiC , an in-depth look at the duty of care for external meetings and more top apps worth checking out for your business travel. Inntel's approach is very practical, very relevant. They don't over-complicate, or over dramatise - they just get things sorted. The personal touch comes across very strongly.